A North Atlantic right whale swims with her calf off the Atlantic coast, near the border between Florida and Georgia where whales come every year to give birth. The Trump Administration has approved the search for oil and natural gas off the Atlantic coast. 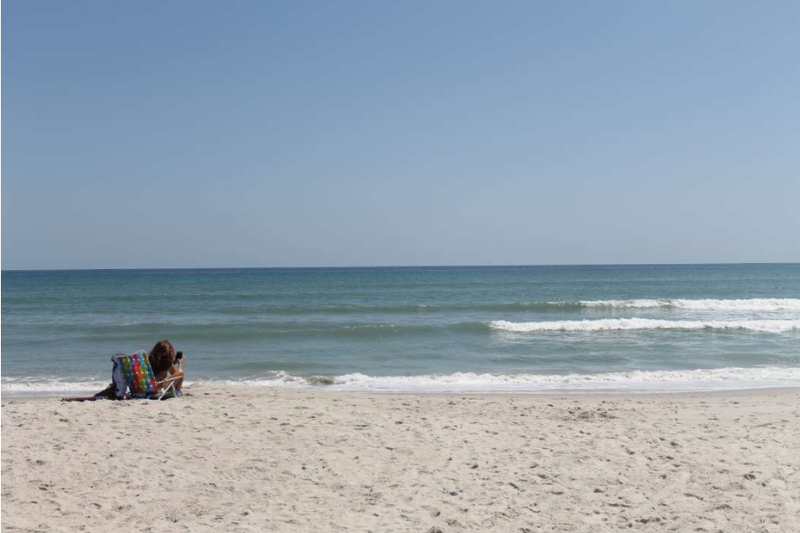 Late last month, the federal government gave the green light to five applications that allow companies to use seismic testing in different sites, including along part of Florida’s eastern seaboard. 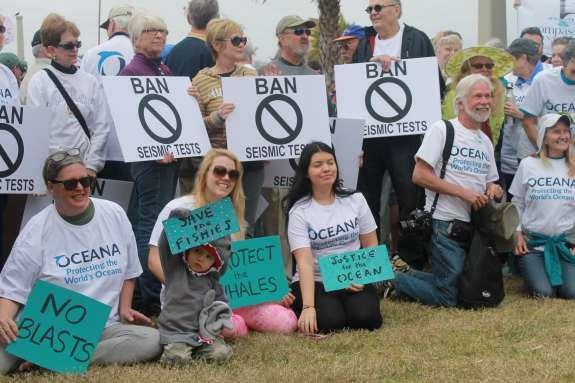 The decision has drawn controversy, especially from environmentalists who say the seismic surveys could harm tens of thousands of dolphins, whales and other marine animals. The tests have been authorized from the Space Coast to New Jersey. Listen to The Florida Roundup from December 7, 2018. Of particular concern: the endangered North-Atlantic right whale, which migrates and calves off the coast of North Florida. There are currently less than 450 of the whales left in existence. The blasts go off every 10 seconds, 24 hours a day, often for weeks or months on end. But proponents argue the seismic tests have been used effectively for academic and research purposes for decades. And they say the method is safer than exploratory drilling. The National Marine Fisheries Service, a division of the National Oceanic and Atmospheric Administration (NOAA), issued the final authorizations under the Marine Mammal Protection Act, allowing companies to “incidentally, but not intentionally, harass marine mammals” while conducting testing. The Bureau of Ocean Energy Management must now issue permits for testing to begin. This will be the first time since 1983 that tests are used to search for oil in the Atlantic. Previous attempts to find oil off Florida's Atlantic coast were largely unsuccessful. But Martin said Friday previous seismic surveys in the Atlantic researched less than 20% of the proposed mid- and south-Atlantic leasing plan areas, leaving much unexplored. Opposition to the testing has not come only from environmentalists. The Department of Defense, NASA and the Florida Defense Task Force have expressed concern due to impacts to military testing, readiness and national security. Last year, a bipartisan group of 100 members of Congress voiced concerns over the Atlantic testing. In Florida alone, over 50 coastal municipalities and over 200 along the Atlantic coast have passed resolutions against it. “The people just don’t want it,” Handy said. The authorization comes just weeks after Florida voters approved a constitutional ban on offshore drilling. But that applies only to state waters, stretching three miles off the Atlantic Coast. The seismic tests are largely seen as a first step toward offshore drilling. Martin argued that even the most aggressive scenarios for use of renewables show there will still be an “essential role” for oil and natural gas in the coming decades. Better "to make sure … that resources are explored and decisions about them are made in an environmentally responsible manner,” she said. Handy said Oceana has “not ruled out” litigation to seek to stop the testing.